We’d love your help. Let us know what’s wrong with this preview of Pink and Say by Patricia Polacco. There are few picture books written about the Civil War, and none are as powerful as this one. This story, about how a young black soldier rescues a white soldier, opens young readers' eyes to the injustices of slavery and the senselessness of war. Highly charged emotionally, this masterful retelling of a true story is seen through the white soldier's eyes. To ask other readers questions about Pink and Say, please sign up. Andrea Pink and Say is guided reading level S.
Recommends it for: Patricia Polacco Fans!!! Many of the books I had read by Patricia Polacco were extremely emotional and sad like The Junkyard Wonders and Thank You, Mr. Falker, but none of them had hit me so close to my heart than her book “Pink and Say.” “Pink and Say” is a story about the friendship between two boys of different races whose ending will make you want to cry for many years to come. Sheldon Russell Curtis was a young soldier who was injured during the Civil War and was left for dead until a young African-American boy named Pinkus comes to his aid and brings him home with him. Pinkus lived with his mother, Moe Moe Bay who was kind and treated Sheldon like her own son. Unfortunately, Sheldon and Pinkus knew that they were putting Moe Moe Bay in jeopardy since they escaped from the Civil War and the marauding Confederate troops were chasing after them. Now they must find a way to get away from Moe Moe Bay before it is too late! 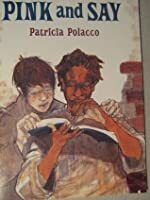 Reading most of Patricia Polacco’s books, I have noticed that all of her books always have an underlying theme of accepting other people, no matter how different they are while tying these stories to her real life experiences, which I always believed made her stories even more memorable to read. 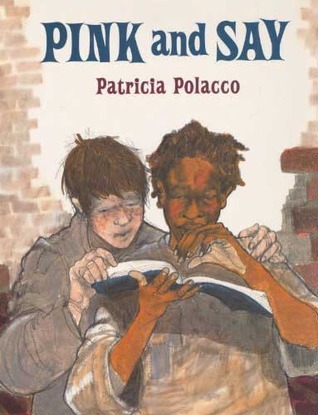 Now, after reading this book “Pink and Say,” I have to say that Patricia Polacco has truly defined the importance of accepting other people’s differences even under hardships such as war. 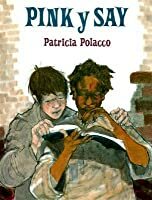 I loved the way that Patricia Polacco had portrayed the relationship between Pinkus, a young African-American soldier and Sheldon, a young Caucasian soldier, as they treated each other like good friends, despite being of different races. It was fantastic and emotional seeing what the Civil War had done to Pinkus and Sheldon and my heart was actually breaking when they were scared of getting anyone hurt in this war, but they know that they have to fight this war to put an end to slavery. I have always read books about the Civil War, but never had I read a book that actually showed me how the Civil War had affected the people fighting in it in a more up close and personal way. Patricia Polacco had done a brilliant job at showing the horrors and painful emotions that the characters suffered through this war, while stating that war itself is terrible, but you must fight for what you believe is right. Patricia Polacco’s illustrations are as usual, gorgeous to look at as the images of Sheldon and Pinkus communicating with each other was a truly beautiful scene to look at. I also loved the way that the characters look as realistic as it really brings so much reality to this story. Parents should know that this picture book has some images of characters getting shot and blood leaking out of their wounds. This might disturb younger children who want to read about the Civil War, so parents might want to read this book to see if it is appropriate before reading it to their child. Also, the ending was extremely sad as it involves the death of one of the characters (which I will not reveal because I do not want to spoil this book for anyone) and parents might want to read over these scenes before they read it to their children. 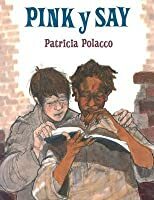 Overall, “Pink and Say” is easily Patricia Polacco’s saddest yet most emotional book to ever be written and anyone who wants to read about the Civil War through a personal account should definitely check this book out! I would recommend this book to children ages seven and up since the scenes of characters getting shot might disturb younger children. This book is tragic and heartbreaking, and it’s another Polacco book that made me cry. I could actually see rating it anywhere from 1 to 5 stars; I had to think a bit before I assigned my number of stars rating. It’s as close to non-fiction as it can get; Polacco comes from a family of storytellers and the Say in the title is her great great grandfather. This story came down from Say, whose full name was Sheldon Russell Curtis. This story takes place when he was in his mid teens and was a very rel This book is tragic and heartbreaking, and it’s another Polacco book that made me cry. I could actually see rating it anywhere from 1 to 5 stars; I had to think a bit before I assigned my number of stars rating. This story takes place when he was in his mid teens and was a very reluctant Union soldier during the American Civil War. Pink is Pinkus Aylee, born a slave, also fighting for the Union and also a teenager. Pink saves Say when he finds him injured with a bullet hole in his leg. These two develop a friendship and that is the uplifting part of the story. However, this is a grim story. It’s about war and its horrors, and the brutality experienced by African Americans by the Confederacy. I’m now once again interested in the Andersonville POW camp. It’s been years since I’ve read anything about it, and it’s just briefly mentioned here. These two are interesting characters. Pink knows how to read, even though it’s illegal for a slave to be taught to read. Say has shaken the hand of President Lincoln. I first shelved this as fiction and historical fiction but after reading it changed the shelves to biography, history, non-fiction. I’m not sure whether that’s accurate labeling, but unless I see evidence to the contrary it works for me. Patricia Polacco has this uncanny ability to tell a story that gets straight to my heart and makes me cry. I was so choked up that I found it difficult to read the last few pages without my voice wavering. The fact that it is a true story and that it is her great-grandfather's story makes it all the more powerful. A few days after reading this story with our girls, I just had to read it to myself again. Without fail, it brings up all the same emotions as before. The Civil War was the bloodi Wow. This is a tough subject, even more than 150 years following the start of the war. The mere fact that this story was passed down from generation to generation and finally put into print testifies to the intensity of the conflict, the horrors experienced, and the compassion shown. I grew up in Massachusetts and only now that I live in Virginia do I realize how much my schools glossed over the Civil War. We spent a lot of time on the Revolutionary War and were reminded daily of the events by the statues in our towns, the names of our buildings and the monuments to the battlefields that were all around us. And we discussed WWII extensively, too. But the Civil War received only slight attention: memorize some names and dates, and learn about President Lincoln and the Emancipation Proclamation. Here in Virginia, we are surrounded by remnants of the Civil War and I am learning as much about it as our girls are. I see now, the perilous brink our nation came to and the costs that were incurred by the whole nation. The battlefields from the Civil War are everywhere and I am finally opening my eyes to the devastation that our country experienced. The mere fact that Ms. Polacco is here today, sharing her stories with the world, is directly connected to the generosity that one young man and his mother gave to help save another young man's life. Whether this is a completely factual story or a fictionalized one that has some basis in history is up for debate. Nevertheless, it's a heartbreaking and touching story. One that makes me cry just thinking about it. That is the power of her words. This is a true story, handed down in the author’s family. It’s about her great-great grandfather’s experience fighting for the Union Army in the Civil War (at the age of 15), fleeing a particularly awful battle, getting shot and left to die, being rescued by an injured young man from a colored regiment, nursed to health by his new friend’s mother, and eventually imprisoned in the worst POW camp in the country. It’s a tale about a slave boy who, though he is much too young to be a soldier, runs w This is a true story, handed down in the author’s family. It’s about her great-great grandfather’s experience fighting for the Union Army in the Civil War (at the age of 15), fleeing a particularly awful battle, getting shot and left to die, being rescued by an injured young man from a colored regiment, nursed to health by his new friend’s mother, and eventually imprisoned in the worst POW camp in the country. It’s a tale about a slave boy who, though he is much too young to be a soldier, runs willingly into battle because he’d rather die fighting slavery than live one more day as a slave. It’s about a mother, a slave whose husband and son have joined the Union Army, who refuses to leave a plantation situated close to the fighting, a plantation that everyone else has fled, because she wants to be there for her family should they return. A woman who treats a wounded white boy with as much love and tenderness as she does her own son. For such a short story, a children’s picture book even, it’s filled with big ideas: the sickness that is slavery, the horrors of war, the healing power of love and human kindness, the capacity to hope in truly desperate times, heartbreak, and honor. The true meanings of freedom, duty, and bravery. I love this story. So much. I met the author when I was a college student, majoring in English and secondary education, volunteering to read in the children’s department of the local library. One day, Patricia Polacco came to our library and read Pink and Say to a group of future English and history teachers. She talked about the importance of telling personal stories to make history come alive for students. She traced her hand in the back of the books we each bought that night, and had us place our own hands there as well. You’ll see why if you read this book (and I highly recommend you do). When I occasionally read it to my students, I pass the book around so they can touch the author’s hand, and they’re invited into a lovely connection with the story teller and her great-great grandfather Sheldon Russell Curtis. I tend to use this book to teach personal narratives, especially when I want my students to learn and then retell the story of someone in an older generation. It requires them to sit and listen to an elderly person (at least two generations removed), to take notes, and ask questions. I’ve brought Pink and Say out this year for narrative writing specifically because we’re teaching through the Romantic time period at my school right now, so it fits just perfectly. Luckily, I found someone else reading the story online this year with visuals from the book. Because I choke up on the last three or four pages every damn time. Hell, I can’t even explain this book verbally without choking up. Thank Sweet Baby Jesus for technology. This year, I was saved the struggle of reading through the lump in my throat. I still cried. Who do you think I am? But I cried in silence. I like to think I was much more dignified that way. And my kids loved the book, too, even though most of them made it through without tears. Over the years, many books have become favorites of history teachers to help students better visualize a specific period of time. Pink and Say is used by many elementary and middle school teachers to discuss the War Between the States. Though it is listed as fiction, many educators try to state it is factual. With the sesquicentennial on the horizon, it is imperative to make sure what is being taught in the classroom is accurate and true. The setting for Pink and Say is somewhere in Georgia afte Over the years, many books have become favorites of history teachers to help students better visualize a specific period of time. Pink and Say is used by many elementary and middle school teachers to discuss the War Between the States. Though it is listed as fiction, many educators try to state it is factual. With the sesquicentennial on the horizon, it is imperative to make sure what is being taught in the classroom is accurate and true. The setting for Pink and Say is somewhere in Georgia after an unknown "fierce" battle in an unidentified year. The key characters are Pinkus Aylee, better known as Pink, a slave from Georgia, and Sheldon "Say" Russell Curtis, a young farm boy from Ohio. Both are fighting for the US Army. Pink stumbles upon Say, who had been wounded, in a "blood-soaked pasture" while in search for the 48th Colored Troops. Thus begins the story. According to the author, Patricia Polacco, this account has been handed down through her family generation after generation and is true. Like with any folktale, there are elements based on fact, but much more is altered with time till the legitimacy of the account is questionable. The first discrepancy in this publication is that the 48th Colored Troops were on garrison duty in Vicksburg, Mississippi. This regiment was organized on March 11, 1864. In reality, this regiment was never stationed in or near Georgia during the War Between the States. Additionally, General Sherman was against colored troops, so there were never any black regiments under his command. Upon future research, there is no documentation of a soldier by the name of Pinkus Aylee in any regiment in the Union Army according to the National Park Service. In considering the above facts, a shadow of doubt is put on the authenticity of the character of Pink. Ms. Polacco states that Pink was owned by the family of Aylee from Georgia. His mother still lived in one of the slave homes on the plantation, but the master's home was destroyed during the war. According to the 1860 census, there was no family in Georgia by that last name. Moreover, in searching the entire United States in the 1860s census there is no one with that last name either. In reviewing the similar variations of spelling of last names, none of the families met the criteria set up by the author to be Pink's owner. The other main character, Say, has some inaccuracies as well. Ms. Polacco states he was with the 24th Ohio Regiment as a color bearer because he was too young to fight. With some investigation, no one by the name of Sheldon R. Curtis served in this regiment; however, this name does appear on the roster of Company M, 6th Michigan Cavalry. Furthermore, the only veteran with that name listed in the 1890 Veterans' Census verified the above information. An age inaccuracy causes some misgivings about this character also. According to Ms. Polacco, Say is only 15 years old, but the soldier mentioned above was around 21 years of age. In fact, Mr. Curtis was married on May 10, 1860 to Miss Abigail M. Barnard in Ionia County, Michigan. With this fact being uncovered, this reviewer examined the possibilities of two people with the same name. However, no other solider could be found in the ranks of the US army with Say's given name. Besides, Ms. Polacco supports Mr. Curtis' history after the war in her book. This leads to the consideration that the soldier in the 6th Michigan Cavalry is the same as the one in the book. Near the end of the tale, Pink and Say both are taken to Andersonville as captives of the Confederate Army. In Camp Sumter's prisoners' roster, it states that the person by the name of Sheldon R. Curtis in the Company M, 10th Michigan Cavalry was captured in Chancellorsville, Virginia on June 12, 1864. This is a deviation from the regiment listed on the soldier's service record. There is no notation of anyone by the name of Pinkus Aylee ever being held in Andersonville. Per the story, he was hung; yet he is not listed among the dead. It is important to note that Say was shot when running away from his unit, or better described as deserting. He does not desire to return to his regiment when Pink was eager to leave. He even discusses this with Pink's mother. The author sugar coats it and states that it is because he is so young that he fears the war. In truth deserters were shot, branded or sent to prison for their cowardliness. Pink and Say has won publication awards and has a curriculum written for teachers to use in the classroom; nevertheless, this book is not recommended to be used in any setting, much less a classroom. There are more inaccuracies within the pages of this publication, but for sake of time and space, the most significant factual errors are covered. This publication is truly a fiction book and should never be considered anything more. A children's picture book remembering Pinkus Aylee, a colored boy in the Union Army who saved another. Oh, I just wanted to cry throughout the story...and unfortunately, I got my "wish" at the end. It's a tale that has had many permutations throughout war, and this one is of two 15 year olds fighting for their own reasons. Whew, Polacco doesn't pull any punches in this when Pinkus meets up with Say and gives it to him straight. Reasonable, but, whoa. A nice bit of history for the kids with A children's picture book remembering Pinkus Aylee, a colored boy in the Union Army who saved another. Whew, Polacco doesn't pull any punches in this when Pinkus meets up with Say and gives it to him straight. Reasonable, but, whoa. A nice bit of history for the kids with some details they won't get in school, small facts with so many implications. It'll give y'all something to discuss, that's for sure! A touch of irony when Say reveals he can't read, and Pink promises to teach him. I love how Polacco has Say appreciating Moe Moe, that he feels as if he's in heaven. "You can call me Say...Everybody in my family calls me Say, not Sheldon. I 'spect you're my family now." Polacco has a lot of family stories, and I'm glad she's chosen to share them with us. It's two boys fighting in the Union Army with one rescuing the other. And then his mama, bless her, understanding that every body is different, that "bein' brave don't mean you ain't afeared". Pinkus Aylee is a runaway slave, who joined the Union Army---the Forty-eighth Colored---to fight against "the sickness", what he calls slavery. Moe Moe Bay is Pink's mother, staying on the old plantation although no one else is left. Kaylo is his dad. Sheldon "Say" Curtis is in the Ohio Twenty-fourth. The cover is a beautiful picture in watercolors of Pinkus reading the Bible while Say is looking over his shoulders against a backdrop of old Aylee's burned-out plantation house. This book was one of the best historical fiction picture books I have ever read. I wish I could give it more stars. I have not read a book in which the content was as informing and realistic as Polacco made it. As a person who typically does not get emotional when reading, this book will evoke some emotions. Pink and Say tells the story of two young Union soldiers in the Civil War. Say is found by Pink wounded, left in a field. Say does the unthinkable and while wounded himself, decides to take S This book was one of the best historical fiction picture books I have ever read. I wish I could give it more stars. I have not read a book in which the content was as informing and realistic as Polacco made it. As a person who typically does not get emotional when reading, this book will evoke some emotions. One of my most favorite aspects of the book were the illustrations. They tell a story by themselves. The addition of a personal story at the end of the book also is a great part of the book. What is this personal piece you may ask? You'll have to read the book of course! This book would be an easy read for the upper grades. The book would be awesome when discussing the civil war and how children their age and older had to leave home and fight the war. Reading or discussing the book may cause your students to be thankful for their own lives or relate it to how some students fight their own wars in and out of school. There are different lessons that can be created around this book. Some concepts they may need more clarification on such as the Civil War and the history around that but they will understand the overarching theme of of the book. Through wonderful illustration and a beautifully written content, Patricia Polacco does an awesome job of discussing this tough topic of history through a story of friendship. I'm promoting this book to 5 starts after reading it for the 2nd time ever last night. I kind of either love or hate Patricia Palocco (especially after hearing her speak) but the 2 times i've read this book (aloud. once to students, once to my 8 year old son), i've had the same, certain emotional reaction that produces a particular physiological response that i'm typically not given to. She spans a lot of emotions in this little book. the soldier that is eager to fit for his cause, the reluctant I'm promoting this book to 5 starts after reading it for the 2nd time ever last night. I kind of either love or hate Patricia Palocco (especially after hearing her speak) but the 2 times i've read this book (aloud. once to students, once to my 8 year old son), i've had the same, certain emotional reaction that produces a particular physiological response that i'm typically not given to. She spans a lot of emotions in this little book. the soldier that is eager to fit for his cause, the reluctant soldier, the sacrificial adult, and the obvious disgusting prejudice and disregard of personhood. Some of the pictures stand alone in ability to convey the reality of her words. i'm not saying that a books ability to cause particular physiological responses is cause for 5 stars in and of itself but still...i've read it twice and twice it had that effect. i mean i cheese out so much at the end of this book that i even follow the mandate at the end to speak the name of the boy so as to not let him be forgotten. I mean come on if you're good enough to make me follow directions, your good enough to get 5 stars (I'm sure Patricia will be able to sleep better tonight knowing that, I, a literacy coach at an elementary school in Oregon has promoted her book to 5 stars - she was really struggling before that). An ELA teacher of 10th grade has her students read this book as part of the units that build up to To Kill a Mockingbird. I was tutoring a home-bound student and sent the book home to her to read before we were to meet up, and she was disheartened and tear-stained when I arrived, apparently having just read it. I quietly read the book to myself while she was working on the quiz/worksheets or whatever, and I had to leave the room and sob in the bathroom so that I wouldn't disturb her. We both cri An ELA teacher of 10th grade has her students read this book as part of the units that build up to To Kill a Mockingbird. I was tutoring a home-bound student and sent the book home to her to read before we were to meet up, and she was disheartened and tear-stained when I arrived, apparently having just read it. I quietly read the book to myself while she was working on the quiz/worksheets or whatever, and I had to leave the room and sob in the bathroom so that I wouldn't disturb her. We both cried as we discussed the literary elements and thematic material, and I understood why the teacher chose to share this beautiful, heart-breaking book with high school students. It's utterly devastating and beautiful. I highly recommend it to at least 14 year-olds to adults, possibly younger, but I think that some Civil War understanding is pretty necessary. Content: slavery (not white-washed); children joining the war, discrimination, brutality, racism, friendship, poverty, family, legacies. This is a wonderfully illustrated picture book that tells an account of the Civil War through the eyes of a soldier. Say was wounded in a field when Pink found him and carried him for many miles to his mother's house. His mother, Moe Moe Bay, was such a kind and loving woman. She treated Say like her own son and even comforted him when he admitted that he had been shot when he was running away from his troop. This moment in the story sheds light on how young the soldiers were who were fighting in the Civil War. It really shows how frightened these soldiers were and how their age may have played a role in that. Though I believe that no matter how old you are, fighting in a war is still a frightening experience. Say recovers and they planned to head out to join with a Union troop. Although they were both scared, they knew that this is a war in which they both needed to fight. On the day that they were to leave, marauders intruded their home and shot Moe Moe Bay right in front of the porch. The boys were captured and taken to a containment camp called Andersonville. It was said that Pink was hanged hours after he arrived and that Say survived the camp and was released after the war was over. This story is beautifully crafted. In such a racially charged time, it was very inspirational that Pink and Say could create a brother-like bond despite their obvious differences in race. I think that this book points to humanity in general. I want to believe that when people are in a time of need a natural instinct is to help them no matter their differences from you. I think that Pink and Say, especially Pink, really illustrate this aspect of humanity. This book follows the friendship and kindness that develops between a young African American soldier named Pink and a young White soldier named Say during the Civil War. Say is discovered badly wounded near a battlefield and is taken by Pink to his house in the countryside, where his Mother nurses the young soldier back to health. As he recovers, Say forms a bond with Pink and his Mother, and begins to understand what life is like as an African American family during this time. When Pink's Mothe This book follows the friendship and kindness that develops between a young African American soldier named Pink and a young White soldier named Say during the Civil War. Say is discovered badly wounded near a battlefield and is taken by Pink to his house in the countryside, where his Mother nurses the young soldier back to health. As he recovers, Say forms a bond with Pink and his Mother, and begins to understand what life is like as an African American family during this time. When Pink's Mother is killed by Marauders searching for the boys, they hesitantly rejoin the War and are captured soon after. Upon arriving at a Confederate camp, they are separated from each other and are destined for very different fates. Although they will never see each other again, the bond that was formed and the memories they have of each other will live on forever. The pictures in this book do the text great justice in that the scenes are portrayed in a powerful and descriptive manner. Details such as the expressions on the faces of the characters, the meager possessions in the house, and the wound on Say's leg give the reader a vivid idea of what the characters were experiencing during this time. Colors are also used to bring out details such as the shade of the character's skin, the depiction of the homestead, and the vividness of the soldiers' uniform to easily capture the attention of the reader. This Patricia Polacco historical fiction picture book deals with the period of the Civil War in the United States. It is written for 4th grade and up. The subject matter in this story deals with slavery, war, friendship, love, and death. One thing that makes this story special is that it is a story that was handed down through oral storytelling from generation to generation. The story is based on real people. Patricia uses what she knows and her imagination to tell us this story. Patricia writes This Patricia Polacco historical fiction picture book deals with the period of the Civil War in the United States. It is written for 4th grade and up. The subject matter in this story deals with slavery, war, friendship, love, and death. One thing that makes this story special is that it is a story that was handed down through oral storytelling from generation to generation. The story is based on real people. Patricia uses what she knows and her imagination to tell us this story. Patricia writes and illustrates the story of a two young Union soldiers that meet during the Civil War and form an interracial friendship. Pink, an African American boy, saves Say, a white boy from Ohio, and brings him to his mother to heal. They learn a lot about each other as they deal with marauders, death, and finally a Confederate prison camp. Patricia does a good job painting a picture of what it would be like for two scared boys during a war that was fighting to end slavery. I think she does a pretty good job with her characters. Pink is the strong one, who is brave and has purpose. Say, learns from him and looks up to him. I do feel like Polacco does get a little sentimental with the character Moe Moe Bay, Pink's mother, but the reader can see that she loves her son. The author has a way of connecting her readers to the lives of the characters she writes about. This story deals with a lot of tough topics, but it also gives hope to the reader through the power of friendship and perseverance. This picture book opens up a lot of discussion avenues and opportunities to talk about topics like war and slavery with your class. The author also shows the reader what the time period would be like. Her illustrations show what the dress would look like, and she writes using dialect of the time. I would use this in connection with a lesson on the Civil War. Conducting literature discussion questions to connect this story to the past would be one way to teach with this story. Pink and Say is a classic picture book based on a true story that was passed down through a family for generations. 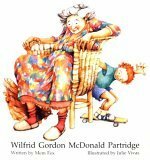 The pictures in the story and the storyline are written for a slightly older audience, even though it is a picture book. In the story, two boys (one black and one white) are 15 year old, Union soldiers. The white boy, Say, is wounded and is rescued by Pink, a black soldier. Pink then carries Say back to his black family where Pink's mother nurses Say back to health. Before the boys Pink and Say is a classic picture book based on a true story that was passed down through a family for generations. The pictures in the story and the storyline are written for a slightly older audience, even though it is a picture book. In the story, two boys (one black and one white) are 15 year old, Union soldiers. The white boy, Say, is wounded and is rescued by Pink, a black soldier. Pink then carries Say back to his black family where Pink's mother nurses Say back to health. Before the boys leave Pink's family, Pink's mother is killed and the boys are forced into prison. Then Pink is hanged and Say survives. As the story ends, there is is a sentimental scene that represents the boys friendship - Pink reads the Bible to his mom and to Say, and he tells Say that he once shook Abraham Lincoln's hand. Then the boys hold hands one last time so that Pink can "touch the hand that touched Mr. Lincoln." Moreover, this picture book is specifically brought to life through the pictures that represent friendship, regardless of race. This review has been hidden because it contains spoilers. To view it, click here. What an amazing book! This book almost had me in tears at the end. Such an amazing story that touches your heart. The story is told from the perspective of someone who was told the story and it had been passed on through their family. The story is passed down by Say through his family because he was able to have a family and legacy, but Pink was not fortunate enough to have the fate as Say. The story is about a two young men named Pink and Say. Pink was a slave fighting in the 48th colored brigad What an amazing book! This book almost had me in tears at the end. Such an amazing story that touches your heart. The story is told from the perspective of someone who was told the story and it had been passed on through their family. The story is passed down by Say through his family because he was able to have a family and legacy, but Pink was not fortunate enough to have the fate as Say. The story is about a two young men named Pink and Say. Pink was a slave fighting in the 48th colored brigade and Say was a young white soldier fighting for the union army. Pink rescues Say who has been shot in the leg. The story follows their time together as Say gets better enough for them to both return to the war. The end of the story is very sad. The book uses vernacular and language of the time which might make it hard to comprehend for lower elementary students. However I would read this book aloud to my upper elementary school classes. The artwork in this book is MAGNIFICENT! It adds so much to the story. I think my students would really appreciate the story of the book because it really shows the struggles faced during the war. Pink gives good descriptions of what is why like fighting in the war and why he was fighting to get rid of "the sickness". The ending of the book will show to the students there were so many young "colored soldiers" that didn't have the opportunity to grow old, have a family and leave a legacy. They fought for a greater cause, to rid their country of "the sickness" that plagued it. This book is about two soldiers, one white and one black, and the friendship they form while fighting in the Civil War. It describes the challenges they face, and the different paths their lives take due to the color of their skin. This would be appropriate for 3rd-5th grade students. This would be a great book to read during a civil rights unit. It shows the unique perspectives of both a black and white soldier during the war. The message in the story could be discussed as a class and show how civil rights began and just because you were black or white didn't always determine your beliefs. It would do well as a read aloud because it's a more complex picture book. Students could read this along with other books about the Civil War and compare the perspectives of the main characters (soldiers on both sides). Pink and Say is a heartfelt story about two young boys who befriend each other during the Civil War. Pink is a white boy who finds the injured Say, an African American boy, while both were fighting for the Union. The two boys have drastically different backgrounds, but are able to forge a friendship. Say has lived his entire life as a slave in the south, while Pink is from rural Ohio and lives with his mother. Pink brings Say back to his home, and his mother nurses Say back to health. Reluctantl Pink and Say is a heartfelt story about two young boys who befriend each other during the Civil War. Pink is a white boy who finds the injured Say, an African American boy, while both were fighting for the Union. The two boys have drastically different backgrounds, but are able to forge a friendship. Say has lived his entire life as a slave in the south, while Pink is from rural Ohio and lives with his mother. Pink brings Say back to his home, and his mother nurses Say back to health. Reluctantly, Pink and Say return to fight, but meet continually misfortune. Pink finds out that his beloved mother has been killed and Pink and Say end up getting captured by Confederate soilders. Pink is kiled, but say lives and escapes. He continues to fight for the sake of Pink and tries to keep his memory alive. Polacco uses a English dialect that is native to each of the boys. Her narration of the story tugs at the heart of its readers. I really enjoyed reading this book about two young boys who were brought together during the Civil War and formed an unforgettable bond. I used this book for part of a Civil War unit for 5th graders and it was a great fiction book to help students connect with an event that seems to be so far removed from their lives. The two characters met when Pink found the wounded Say and brought him back to his house with him and his mother. They were so accepting of each other, despite the obvious differen I really enjoyed reading this book about two young boys who were brought together during the Civil War and formed an unforgettable bond. I used this book for part of a Civil War unit for 5th graders and it was a great fiction book to help students connect with an event that seems to be so far removed from their lives. The two characters met when Pink found the wounded Say and brought him back to his house with him and his mother. They were so accepting of each other, despite the obvious difference being their skin color. Pink's mother is so nurturing and accepting of Say and in the end risks her life for the two of them. All of the characters are well-developed in such a short book and readers can easily and quickly connect with at least one of the characters. I also loved the illustrations because they are realistic yet still exaggerated, making them very unique and enjoyable. The colors used are perfect for the tone and mood of the book, very neutral and sometimes brighter, despite the unfortunate events. This is a great book to use to open a unit on the Civil War and engage older students and begin discussions about what life was like during the Civil War and at the time of slavery. Based on true events in the author's life, Pink and Say tells the story of two young Civil War soldiers. Pink, Pincus Aylee, a black Union soldier, finds Sheldon "Say" Curtis wounded and carries him to his own mother for healing. Some time later the two are captured and sent to the infamous Andersonville prison in Georgia. The year it was published, Pink and Say earned its place as a staple for seventh grade read-alouds at our school. After the students have re-fought the Civil War during their Based on true events in the author's life, Pink and Say tells the story of two young Civil War soldiers. Pink, Pincus Aylee, a black Union soldier, finds Sheldon "Say" Curtis wounded and carries him to his own mother for healing. Some time later the two are captured and sent to the infamous Andersonville prison in Georgia. The year it was published, Pink and Say earned its place as a staple for seventh grade read-alouds at our school. After the students have re-fought the Civil War during their week-long Humanities simulation, and after they have been in "battle," then is the time for Pink and Say. Although I've been reading it every year at least twice, the last pages are so perfect, so appropriately honoring the gift of care in a time of danger and hope, that I weep each time. I tell the class, if you can't stand to see an adult shed tears over the words--and through the words to what happened--then look away. This review has been hidden because it contains spoilers. To view it, click here. Patricia Polacco has the most beautiful way of weaving stories together, and Pink and Say is no exception. This is the story of two young Union soldiers: Sheldon (Say), a farmer's son from Ohio, and Pinkus (Pink), the son of slaves in Georgia. When Pink finds Say wounded in the battlefield, Pink brings Say home to his momma to be nursed back to health. There, Say is faced with the reality of slavery and the hard life of African Americans in the South. When the boys try to return to the battle, t Patricia Polacco has the most beautiful way of weaving stories together, and Pink and Say is no exception. This is the story of two young Union soldiers: Sheldon (Say), a farmer's son from Ohio, and Pinkus (Pink), the son of slaves in Georgia. When Pink finds Say wounded in the battlefield, Pink brings Say home to his momma to be nursed back to health. There, Say is faced with the reality of slavery and the hard life of African Americans in the South. When the boys try to return to the battle, they are captured by Confederate soldiers, and while Say eventually returns to his family, Pink is hanged. Although the story ends tragically, Polacco challenges readers to remember the story of Pinkus Aylee and honor his life and service. This story communicates both the tragedy of the War Between the States and the beauty of human kindness and brotherly love that exists in spite of cruel hatred in the world. I can see this book being a powerful read aloud for my fifth grade students as we discuss the Civil War. This is a picture book that tells a true story that was handed down to the author through several generations of family members. Polacco tells how her great-great-grandfather, Sheldon Russell Curtis, was wounded as a boy of fifteen fighting for the Union army during the Civil War. He is rescued by Pinkus Aylee, who is also a young Union solder, but also a former slave. The boys’ brief time together is cut short when they are captured and brought to a prison camp. Sheldon survived to tell the tal This is a picture book that tells a true story that was handed down to the author through several generations of family members. Polacco tells how her great-great-grandfather, Sheldon Russell Curtis, was wounded as a boy of fifteen fighting for the Union army during the Civil War. He is rescued by Pinkus Aylee, who is also a young Union solder, but also a former slave. The boys’ brief time together is cut short when they are captured and brought to a prison camp. Sheldon survived to tell the tale, but Pinkus was hanged soon after arriving. Polacco’s family has kept the memory of Pinkus alive in honor of a brave soul who knew what ideals were worth fighting for. Reaction: Pink and Say is a wonderful picture book that helps young readers understand the horrors of war and slavery. Because the main characters are only boys themselves it is easy for young readers to relate to them. Pink and Say is a touching story of bravery and sacrifice. This book could be used with a wide range of age groups. Pink and Say is a very serious book, I wouldn't read it to young children. This book invoked a lot of emotion. It would be a good book to use when talking about the young soldiers of the Civil War. The somber illustration just adds to the emotional aspects of the story. Patricia Polacco is a New York Times bestselling author and illustrator with over 115 beloved and award-winning books to her credit, including The Keeping Quilt, Pink and Say, The Blessing Cup, Chicken Sunday, and Thank You, Mr. Falker. She resides in Michigan.